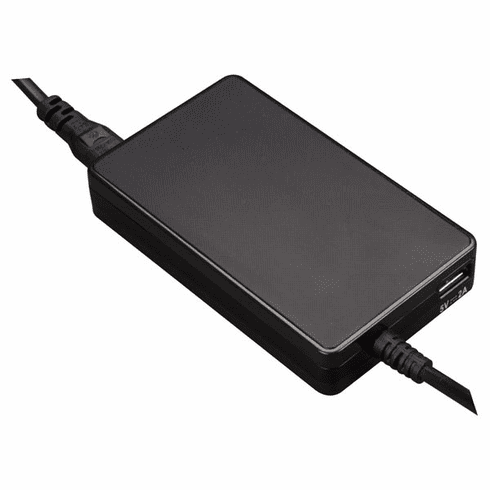 Mini universal notebook adapter - output 19 vdc - 4.74 a max. (90 w) + usb 2.1 a - with 8 plugs. 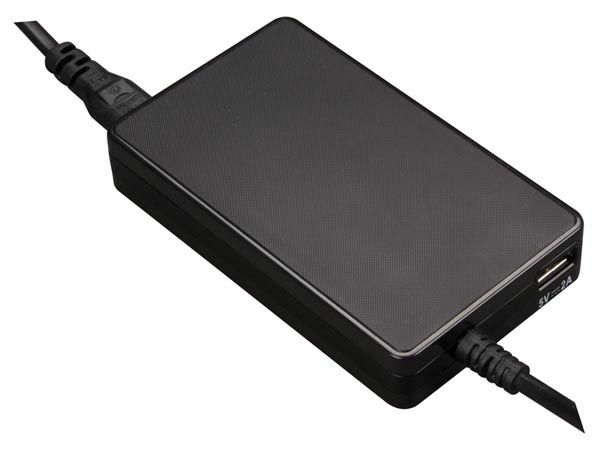 This mini and powerful 90 w- 19 vdc power adapter is compatible with most laptops and notebooks of the following brands: ibm/lenovo, hp, compacq, dell, acer, asus, sony, toshiba, etc. get rid of those bulky power-hungry heat-producing mains adapters. these adaptors use state-of-the-art switching power supplies and feature some major advantages such as: - cooler running - stabilized output - short-circuit and overload protection - compact design - very low idling consumption. output: 19 V, 4.74 A max. adapter: 4.41" x 2.60" x 0.79"
tips: 1.81" x 0.71" x 0.51"
USB port: USB port 2.1 A max. Ideal for Apple� products such as iPhones, iPads, iPods, and various devices such as mobile phones, smart phones, phablets, mini tablets, tablets, media players, portable game devices, GPS, etc.